As Grounds of Being (GoB) defends its status publicly against the Divinity School administration’s call for rent, GoB and the Divinity Students Association (DSA) put out a new timeline of events last week, which claims Divinity School Dean Laurie Zoloth “raise[d] the possibility of a Starbucks in the basement” during a November 16 discussion and said the coffee shop's existence was in question. The document, posted on the two groups’ website on January 12, include a detailed timeline of rent negotiations since June, as well as e-mail exchanges with Zoloth. On the same day, around 80 Divinity School students, faculty, and community members attended a public forum GoB hosted on its future in the Divinity School. GoB has been in negotiations over rent payments to the Divinity School since last June. They began following a budget change which includes the cost of space in divisional budgets. 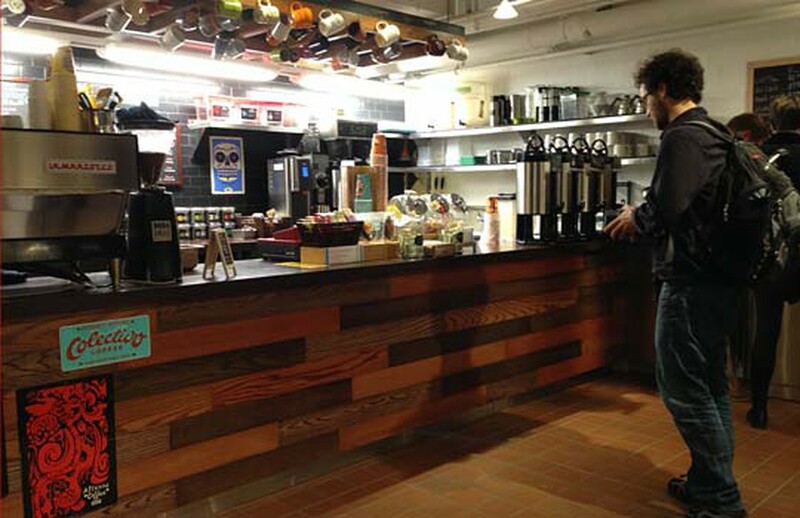 The coffee shop released an open letter on its discussions with Divinity School administration on January 3 and has been vocal about the need for public input on its future. Just a few weeks after the Starbucks comment, negotiations broke down following a December 5 e-mail from Zoloth. The shop posted photos of the e-mail, which appears to misunderstand the shop’s bargaining position, and claims a clarifying e-mail was never answered. Participants in the forum had diverging ideas about strategy going forward. Some felt that excessive blame on Divinity School administrators was unfair, but several others argued for using public pressure as leverage with the Divinity School. “There is a power differential that’s extreme,” said Divinity School professor Simeon Chavel. “There is an issue about how exactly to leverage [public attention] so you provide some form of balance to the conversation." Other concrete proposals included the establishment of a faculty committee to advocate for GoB or mediate with administrators, and a plan to fundraise from alumni on the shop’s behalf. The University could not be reached before publication. The Dean said they're thinking about "how to be good stewards of the budget of the [Div] School."